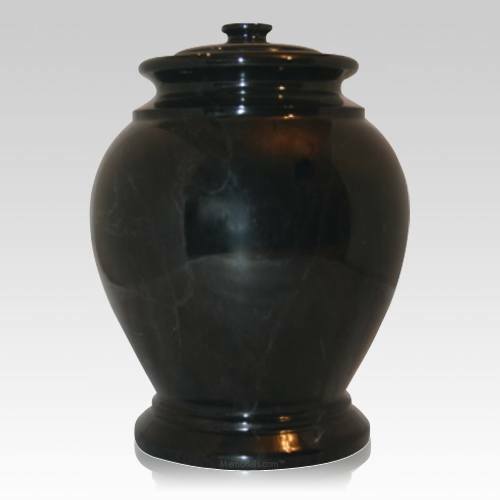 The Raven Marble Cremation Urn is made of natural marble and finished to perfection. The rich tone of the marble will bring peace to your heart, while the modern design will create a stunning visual effect. Because this urn is made of natural materials, slight variances in the color and patterns are to be expected. Create a final resting place as unique as your loved one with this elegant urn. "Over 100 folks attended my wife's memorial service -- and everyone said it was the most beautiful urn they had ever seen. This was the consensus of everyone."